A sample of Desiree Benefield’s glass art. 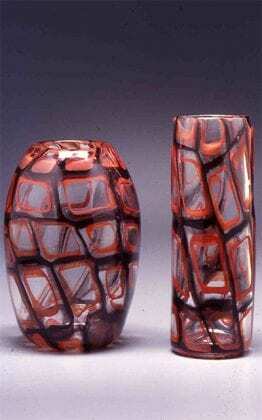 She was a glass blower for years before entering scientific research. The lab, led by Howard Hughes Medical Institute (HHMI) Investigator Paul Ahlquist, studies several different classes of virus. Benefield will initially focus on positive-strand RNA viruses, the source of many serious infections. “Desiree is a dynamic researcher and outstanding collaborator who will bring our critical molecular imaging studies to important new levels,” Ahlquist says. The research opportunity allows Benefield to work with two of her loves: pathogens and microscopes. She first gained an interest in pathogens during undergraduate courses in microbiology and immunology at the University of Tennessee at Chattanooga. “It was like this epic battle between us and our microbial overlords on a day-to-day basis,” Benefield says. “I was fascinated by it. I knew this was where I wanted my emphasis to be.” During her graduate studies at Vanderbilt University, Benefield started doing crystallography of different proteins and bacterial toxins. When she was introduced to a collaborator that encouraged her to try electron microscopy, she never looked back. Electron microscopy can be a powerful technique for addressing questions of protein and virus structures, and what’s happening when different pathogens are interacting with host cells, including human cells. Electron tomography, an extension of the traditional technique, captures very detailed 3D structures. Nonetheless, the technique’s influence is starting to grow and Benefield, along with her fellow researchers, is looking forward to making it an even stronger force in the sciences. 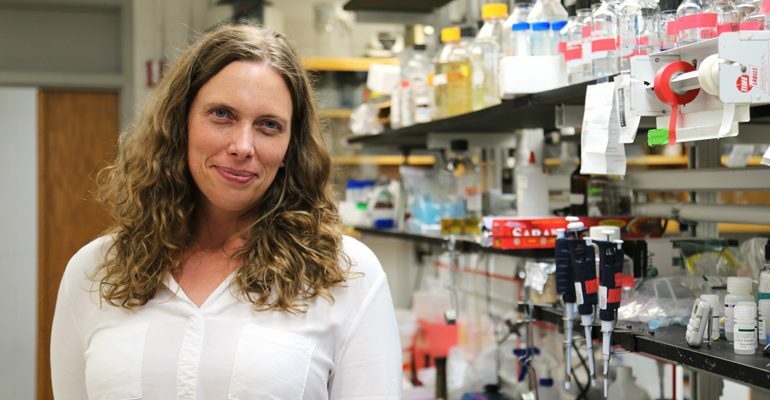 “I’m very excited to see Morgridge and the University of Wisconsin ready to embrace this technique and push it further in terms of developing more biology-oriented electron microscopy work,” she says.